Lisa Sharp, our Vice President of Client Relations has over 25 years of experience as a financial professional. Prior to joining Spectrum in 2004, she spent just under a decade at Charles Schwab & Co as an advisor and a branch manager. Lisa is a CERTIFIED FINANCIAL PLANNER™ practitioner and leads our eMoney Financial Planning Initiative that offers clients a customized view of their Total Balance Sheet and Financial Picture in one place. 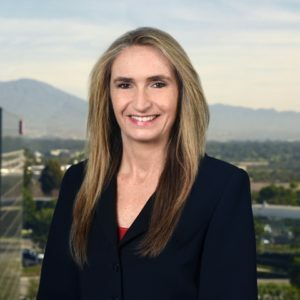 Lisa is a graduate of Loyola Marymount University in Los Angeles, where she earned a bachelor’s degree in business administration with an emphasis in finance. She resides in Mission Viejo, California with her husband Dave. Lisa enjoys working out, weight training, traveling and spending time with her family.